Dark Horse Comics is thrilled to announce the publication of the first new work by Kenji Tsuruta in English in 20 years: Wandering Island! Wandering Island is a retro flying adventure in the spirit of Hayao Miyazaki. With eight pages in color, this special edition features an extended wraparound cover with French flaps. 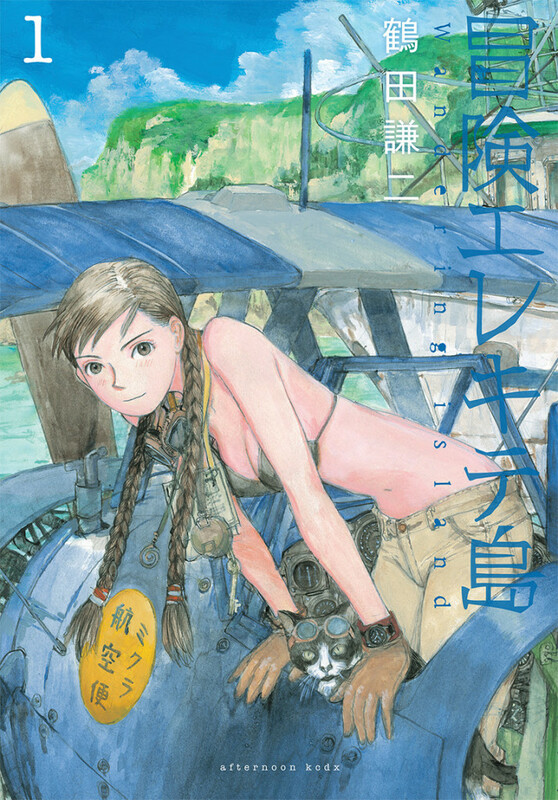 Mikura Amelia is a free-spirited young woman who lives alone with her cat and operates an air delivery service, flying her vintage seaplane to Japan’s small island communities located hundreds of miles out in the Pacific. When her beloved grandfather passes away, she discovers he left her an undelivered parcel, addressed to an island that doesn’t exist . . . or does it? 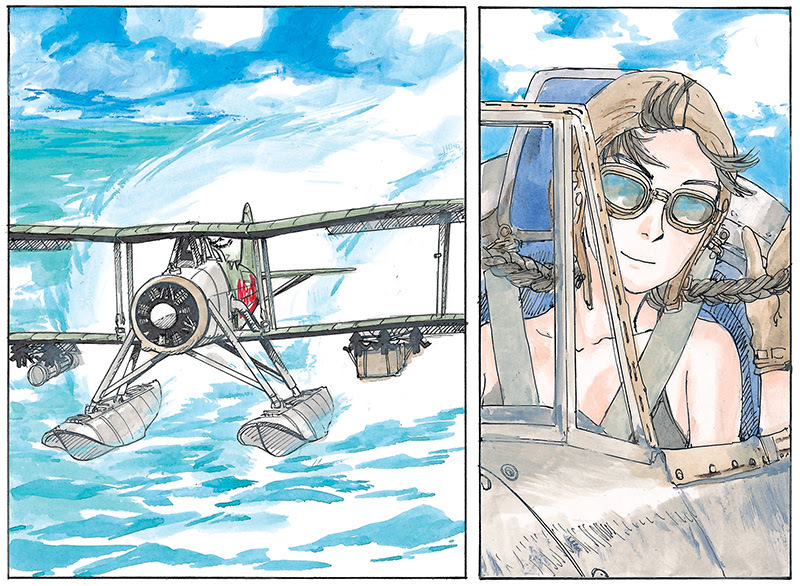 To answer the question, Mikura flies off in search of the truth behind the Wandering Island! Kenji Tsuruta is a Japanese manga artist. Among his most famous works is the science fiction series Spirit of Wonder, which has been adapted into an anime series and brought him much acclaim. The author lives in Tokyo.